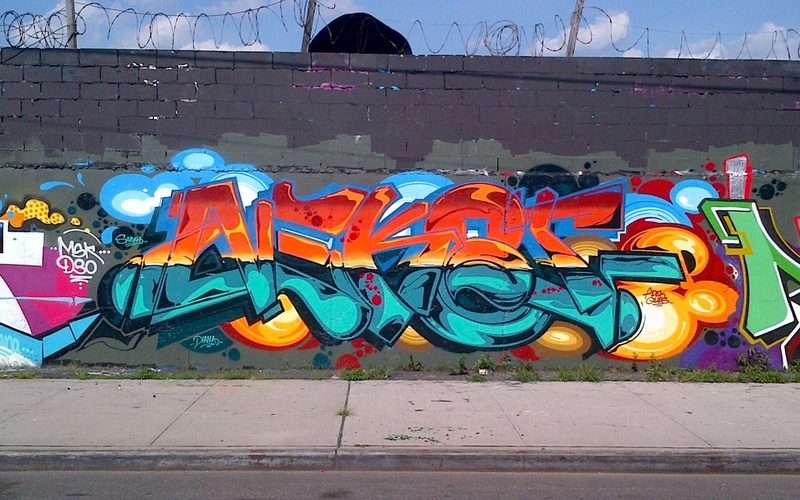 LRG Nekst NYC BBQ from LRG Clothing on Vimeo. Artist Driven members VIZIE, POSE, DABS and MYLA, STEEL, OMENS, Rich Coleman, and KC ONE traveled to Brooklyn, NY to pay tribute and celebrate the life of NEKST with a huge collaborative wall in Williamsburg alongside family and friends. The three-block-long wall served as the perfect canvas for the Artist Driven team and over a dozen other heavy hitters from the graffiti community including, FASR, EL KAMINO, CEAZE, TRAV, RIME, REVOK, SCREW, DMOTE, OWNS, NAVY8, HARSH, ACNE, STONER, and WANE who all threw down their own individual dedications to NEKST.